Just in time for summer. This great pool home has 3 bedrooms and 2 bathrooms, covered patio and one bath with outside entrance for pool convenience, great entertainers home. New duel pain windows and security door in 2018. Arizona room off the main living room for an extra roomy feel. Enjoy your fire place on those cool Arizona evenings. Garage is oversized with workshop area, lot's of parking for all your toys. 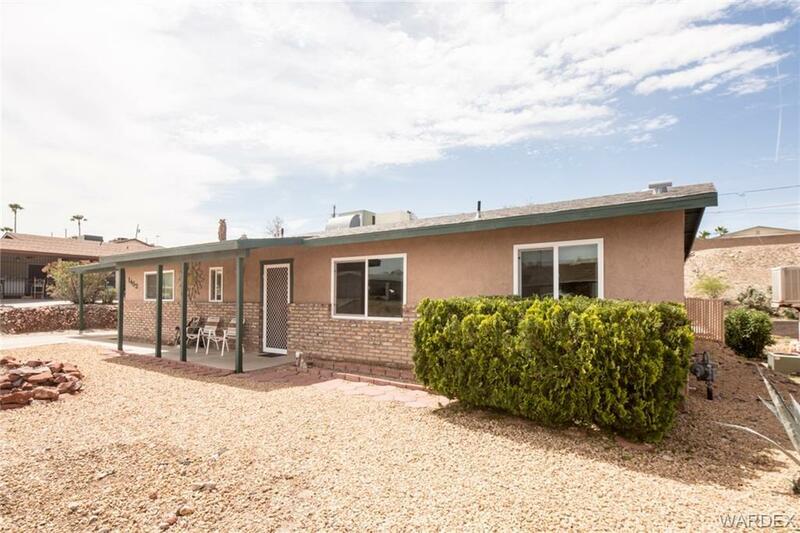 This home is well located, very close to shopping, hospital, several area golf courses and Laughlin Casinos.